We'd like to welcome you to Moore. Grow ridership, ensure compliance, and maximize resources with Moore & Associates’ customized public transportation planning and marketing solutions. 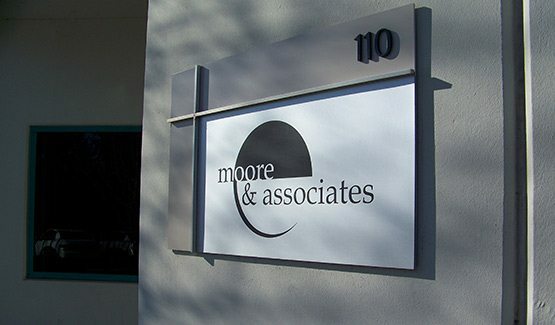 Since 1991, Moore & Associates has provided professional consulting services to a client base composed exclusively of public transportation organizations. Located in Southern California, the firm has provided a broad range of transit planning, marketing, market research, and management services for more than 150 public transit and transportation entities throughout the United States. Our marketing efforts have earned recognition from such organizations as the American Public Transportation Association and South West Transit Association, as well as a Rideshare Diamond Award. Our recommendations have resulted in clearly quantifiable benefits such as lower operating cost, increased ridership, and additional funding as well as increased community support for our clients’ programs and services. We understand public transit. As a full-service public transportation consulting practice, we have worked with many of the fastest-growing transportation organizations in the country. Through it all, we have built a reputation based on integrity, innovation, and insight. The secret to our success lies in the way we view each client’s needs. We recognize each client faces unique situations. Instead of employing “off-the-shelf” solutions, we review the context of each situation and design a response tailored to the needs of the individual community. Our experience is shaped by an extensive knowledge of public transit and transportation programs as well as an exclusive focus within the public sector. Our firm’s philosophy can be summarized as follows: Develop localized practical strategies for enhancing the success of public transit programs while maintaining active partnerships with our clients to secure funding to implement our project recommendations. We tailor our reports and strategies with an eye toward practicality and sustainability. Each member of our staff shares a passion for improving the quality of public transit service in every community in which we work. Moore & Associates is certified as a Small Business by the State of California’s Department of General Services. A “one-stop shop,” Moore & Associates offers planning, marketing, market research, performance monitoring, and administrative and management services under one roof. Our core competencies are presented below. Contact Moore & Associates today by filling out the web form or calling 888.743.5977. ©2015 Moore & Associates, Inc.